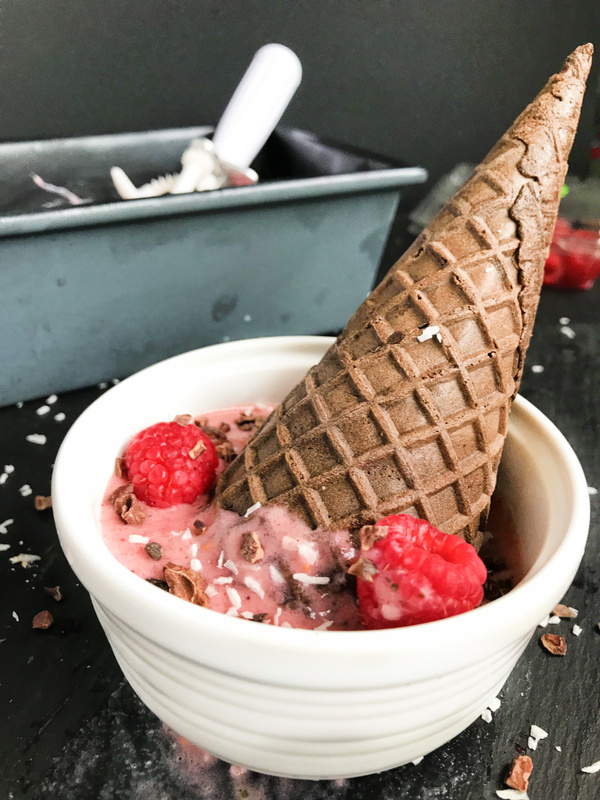 By blending up frozen Driscoll’s raspberries, frozen bananas, coconut milk, mint, and cacao nibs, you’ve got a dairy-free nice cream treat that everyone can enjoy. Blend your bananas and raspberries together until broken down into small chunks. Push fruit down the sides of your blender before adding your coconut milk. Blend to combine, stopping every 60 seconds to mix everything together. Add mint leaves and cacao nibs. Continue blending until everything starts to smooth out and resembles ice cream. Transfer to a bread pan, freeze for 30 minutes, and enjoy! *Note* When blending berries with coconut milk, give everything time to combine before adding more liquid. You may have to stop to mix together quite often depending on your blender.